Add a yard hydrant to your property for better water access. 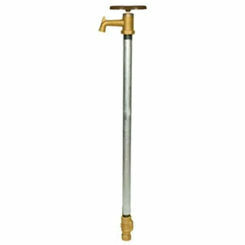 You can save on all types of valves for your lawn and garden here at PlumbersStock. The installation of a frost free yard hydrant is an excellent option for many homeowners. 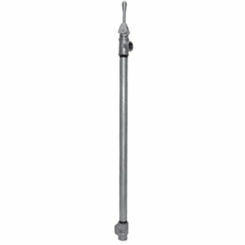 Also known as bury hydrants, they are easy to install and can be placed anywhere within your yard for easy use. When it comes to deciding whether a yard hydrant can be put to good use on your property for you, it can sometimes be a difficult decision. They are a swell solution for watering a vegetable garden or to place in your yard to allow you to connect a hose for easy watering. The benefit of installing a frost free yard hydrant is that you can have water on demand. 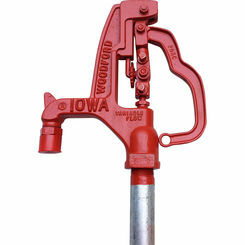 They use a lever action handle to turn on and as soon as they are turned on, water will be flowing through the spout. 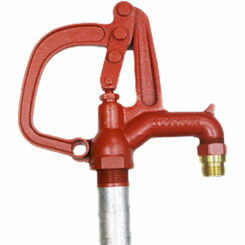 Another great benefit to a yard hydrant is that they come with the option of a threaded spout so that you can easily attach a hose to it so you can move the water wherever it needs to be. 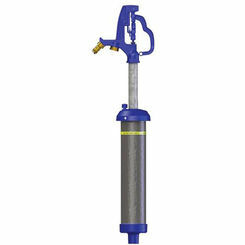 With frost free hydrants available from Woodford and Clayton there is a wide selection of sizes for you to choose from. The size variations refer to the height of the hydrant. There are also variations when it comes to selecting the flow of water that comes out of your hydrant. 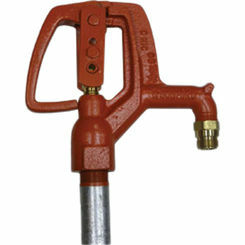 Yard hydrants are also a solid solution for your watering needs as they are often made to be frost free. When it comes to a yard hydrant, chances are it will be sitting out in your yard year round. A frost free hydrant is more resistant to extreme cold temperatures and will resist frost when the temperatures drop. We highly recommend going with a reputable brand for such an important outdoor fixture. You don’t want to deal with freezing pipes, so these “bury hydrants” by Woodford drain the line well below ground level to the point where it no longer can freeze the water. This feature is dependable and a must in cold climates. Save on Woodford yard hydrants at PlumbersStock. The Woodford S4H series is super popular, particularly the S4H-2, which is buried at a 2 foot depth. 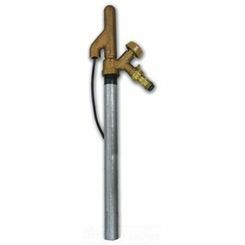 If you are looking to supply that back corner of your yard with easy access to water then be sure to consider a yard hydrant. 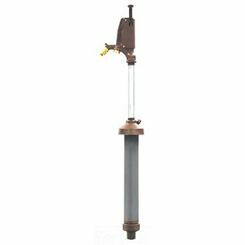 It can be connected into your water main and installed anywhere in your yard. 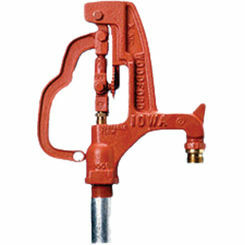 We offer a great selection of frost free hydrants for you to choose from so you can select the right product for you. 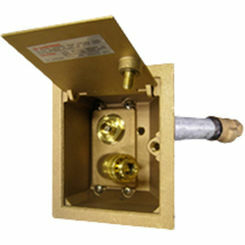 PlumbersStock has the best deals on thousands of fittings with wide application.